PGA TOUR Professional Jordan Spieth and The Jordan Spieth Family Foundation, in conjunction with the Northern Texas PGA (NTPGA) Junior Golf Foundation, are pleased to announce the 2015 recipients two scholarships provided by the Jordan Spieth Family Foundation. 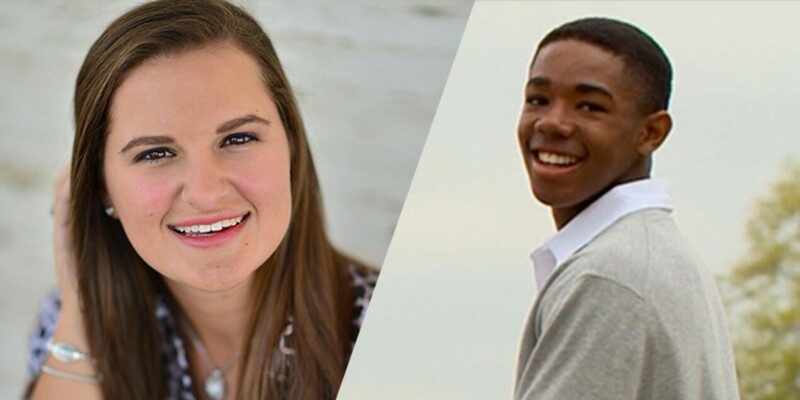 Hannah Crosby is the 2015 Jordan Spieth Family Foundation Scholarship recipient and Lester Bell is the 2015 Cameron McMormick Scholarship recipient. These two young adults showcase a love for the game of golf amidst many other determining factors including academia, leadership, personal growth and development, as well as financial need. “Supporting junior golf is very important to me and I am excited about the caliber of young people coming up through the Northern Texas PGA," Spieth said. "Hannah and Lester are both examples of not only great golfers but well-rounded individuals as well. I imagine they will both go on to do big things on and off the golf course." The Jordan Spieth Family Foundation is pleased to support junior golf, one of the Foundation's three pillars, through these scholarships. The Northern Texas PGA Junior Golf Foundation is pleased to announce that Hannah Crosby, a senior at Prosper High School is the recipient of the Jordan Spieth Family Foundation Scholarship. Hannah excelled in the classroom and graduated with a 3.8 GPA. She also participated in both golf and band all four years of high school. Hannah served as the golf team Captain and Lead Drum Major her senior year. She will be attending Auburn University’s Honors College to pursue a Pre-Med degree and hopes to one day become a pediatrician. The Northern Texas PGA Junior Golf Foundation is pleased to announce that Lester Bell, a freshman at Texas Southern University is the recipient of the Cameron McCormick Golf Scholarship. Lester achieved a 3.13 GPA while majoring in Finance his freshman year while also working a part-time job. He is preparing for his first season of eligibility on the Golf Team next year. Lester grew up in Dallas and was named the MVP of The First Tee Greater Dallas from 2012 to 2014. Lester’s guardian is local PGA Professional, Ira McGraw, Director of Golf at Cedar Crest Golf Course in Dallas. Hannah and Lester are two of 25 students to be awarded a scholarship from the NTPGA Junior Golf Foundation this year. For more information or to get involved, please contact the Northern Texas PGA Junior Golf Foundation at 214-420-7421 or visit www.ntpgajuniorgolf.com.